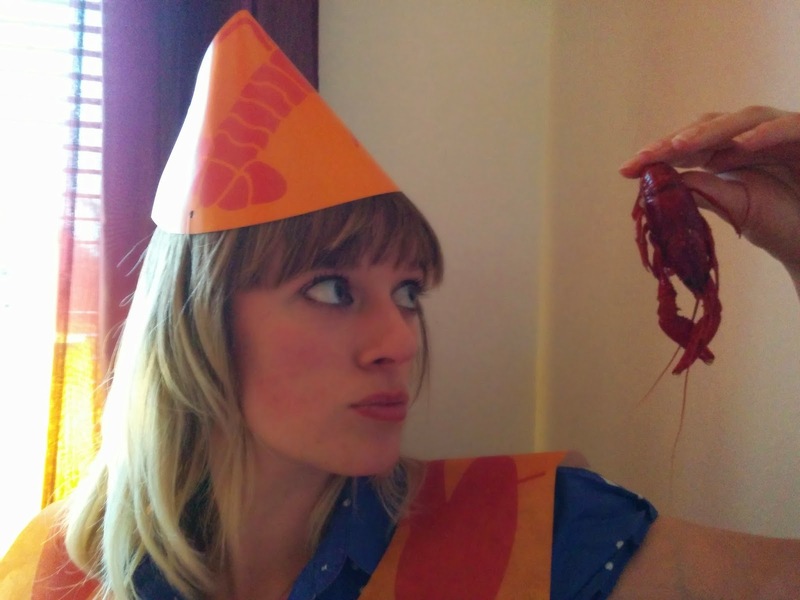 Last weekend my friend Purple Pixie hosted her annual crayfish party and gave her guests the ultimate party experience Scandinavian style. Crayfish parties, or kräftskiva, are usually held outdoors but High Wycombe’s grey and threatening skies kept this event in the comfort of Purple Pixie’s living room. 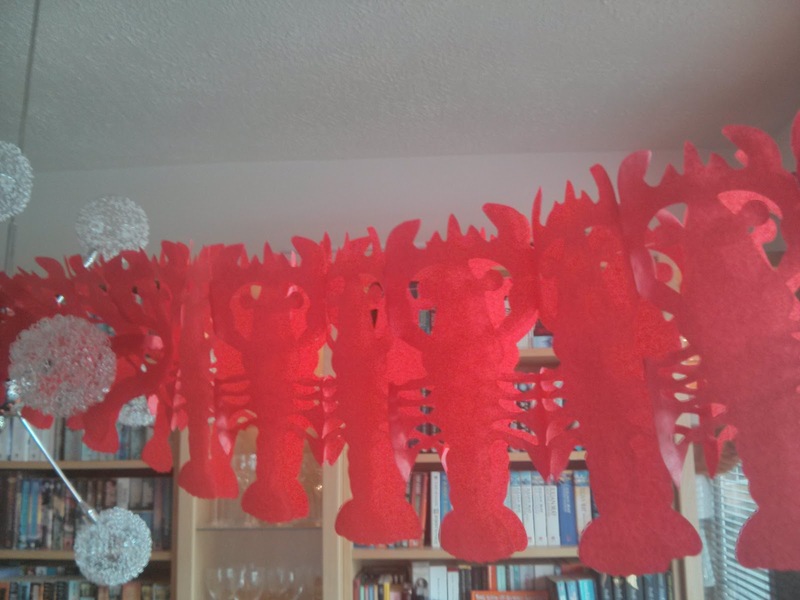 Red crayfish garlands and paper lanterns depicting the moon hung overhead while guests were seated and invited to put on conical hats and (much needed) orange bibs decorated with the crustacean of the moment. The spread included Swedish delicacies such as herring, homebaked bread, strong hard cheese, moose sausage and the comfortingly retro tasting sandwich cake, or smörgåstårta, which consists of layers of white or rye bread with prawns and salad in between (you can try different fillings if you’re vegetarian or have a lust for something meatier) then smothered in cream topped with lettuce and pretty much anything else you desire. The culinary star attraction was, of course, the crayfish - cooked, served cold, gleaming red and garnished with lashings of dill. 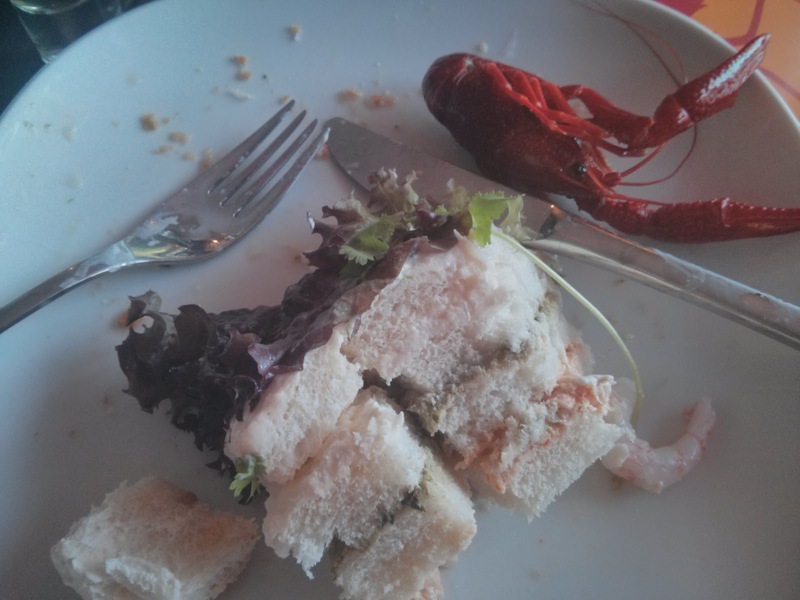 For the uninitiated, peeling and consuming crayfish can be an intimidating task. After gnashing on the claws in a desperate bid to find meat, I was quickly taught that the head has to be torn off and the edible part is in the tail (of course!). Bibs, chins, laps and hands are splattered with crayfish juice while satisfied slurps abound. 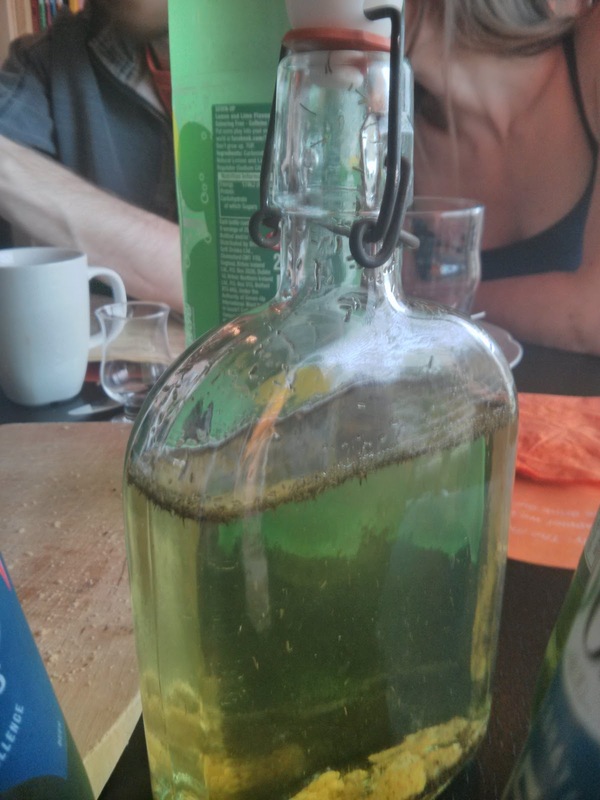 Another kräftskiva activity is drinking snaps with classic Swedish toasting songs such as Helan Går followed by a loud joyous ‘Skål!’ (which gets louder with each toast). Akvavit is a popular tipple but at Purple Pixie’s event guests were treated to a selection of flavoured snaps such as lemon and licorice. 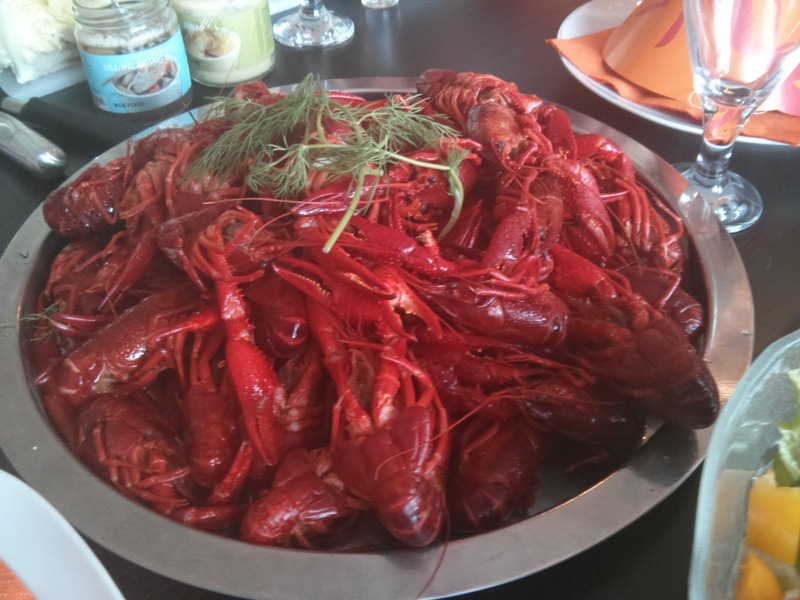 Crayfish parties are a great way to immerse yourself in Scandinavian culture - the embracing of traditions combined with a ceaseless love of making merry into the small hours. A delightfully indulgent farewell to summer.